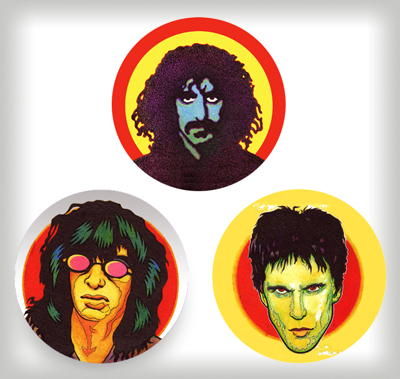 Frank Zappa, Joey Ramone, Lux Interior. Pinback buttons are 1" in diameter (somewhat smaller than pictured). Price includes shipping. I accept PayPal.